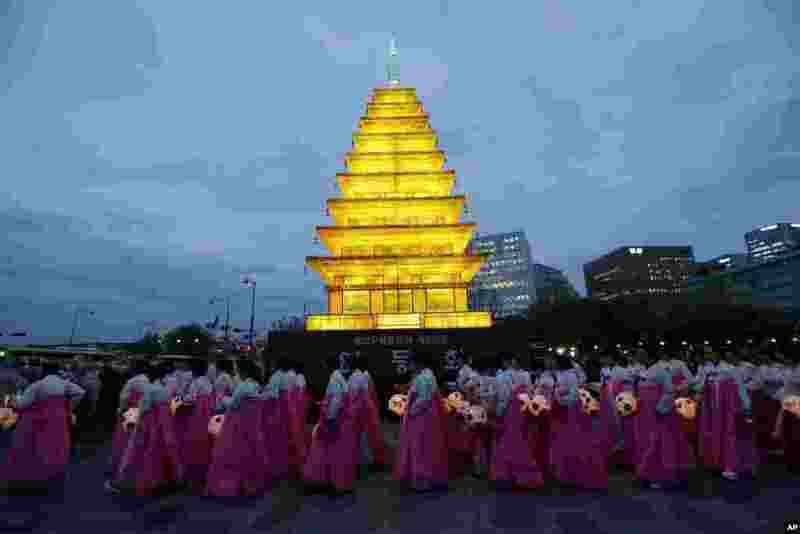 5 Wearing traditional Korean dress, Buddhist believers walk by a lantern tower in the shape of a Buddhist temple pagoda, to celebrate the upcoming Buddha's birthday on May 25 at the Gwanghwamun Plaza in Seoul, South Korea. 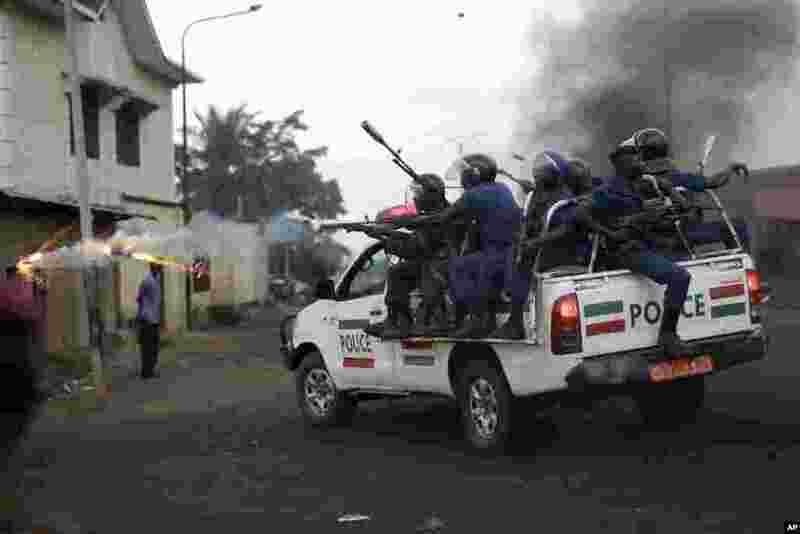 6 Burundi riot police use tear gas as they chase demonstrators during clashes in Bujumbura. 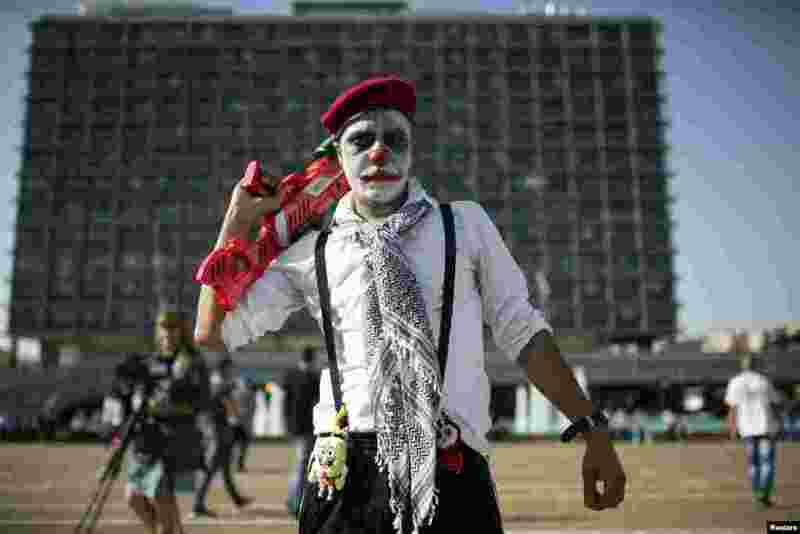 7 An Israeli Arab wearing make-up takes part in a protest against housing shortage and house demolitions in Arab communities in Tel Aviv's Rabin Square, April 28, 2015. 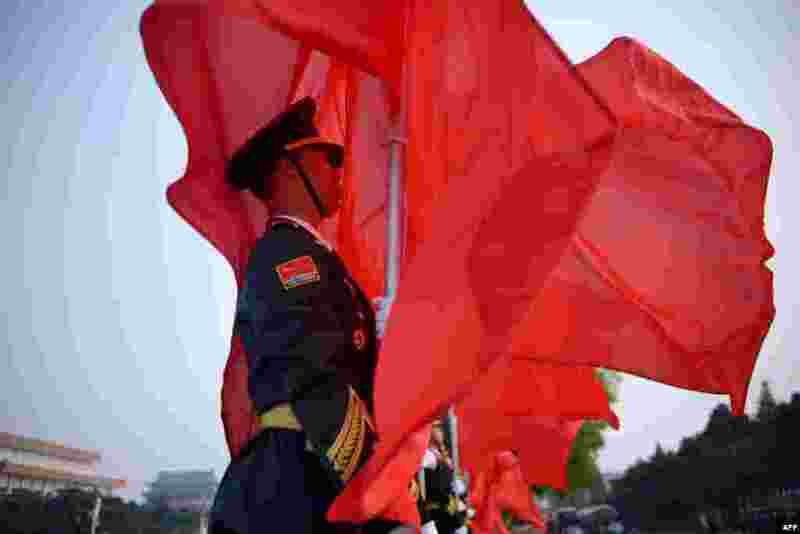 8 Chinese honor guards prepare for the arrival of Chinese Premier Li Keqiang and Algerian Prime Minister Abdelmalek Sellal during a welcome ceremony outside the Great Hall of the People in Beijing.